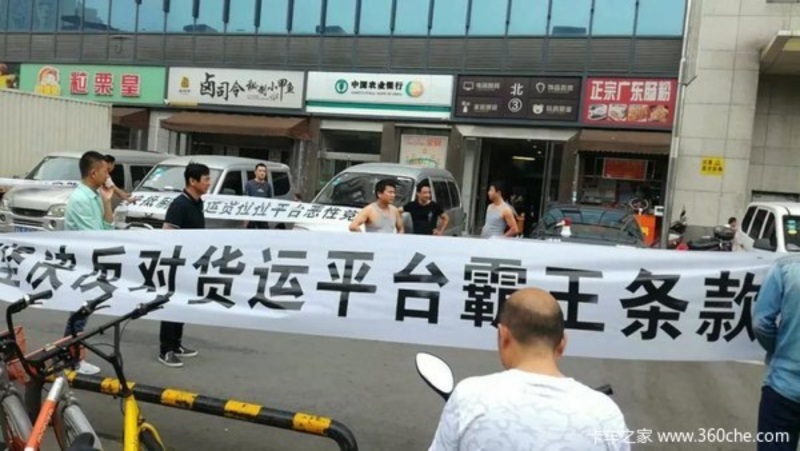 The company used to pay the drivers a 38 yuan minimum initial fee per delivery, then cut it to 30 yuan, and the last straw was a reduction to 28 yuan per initial fee and an additional 0.2 yuan cut per kilometre from 3 yuan to 2.8 yuan. “With these constant pay cuts we are left with no profit margin anymore, what are we even working for?” asked a colleague of Mr Ma. Drivers also pointed out that they had to cover for increasing fuel costs while getting paid less per trip. Individual drivers have to pay Lalamove around 700 yuan as an initial deposit and a monthly membership fee of between 199 yuan to 399 yuan to be part of the network of intercity vans. They also have to pay for maintenance fees and fuel out of their own pockets, since they are the owners of the vehicles in the first place. Drivers also noted that the Lalamove app interface was prone to causing disputes with clients as they were encouraged to take orders sometimes without learning in advance the special requests they were asked to perform, like carrying heavy goods and completing orders within a specific time. With regards to unilateral pay cuts, drivers were keen to point out that the company was in violation of its contractual obligation to communicate with drivers before any important policy change. Drivers displayed exemplary self-discipline during their collective action across different cities, in all cases they were eager to present their demands to company representatives and engage in negotiations to come up with a resolution, they were also aware of the importance local governments attach the maintenance of social stability, urging colleagues to maintain calm during the strike.